This is an archival giclee print of my original acrylic painting Petit Blue. 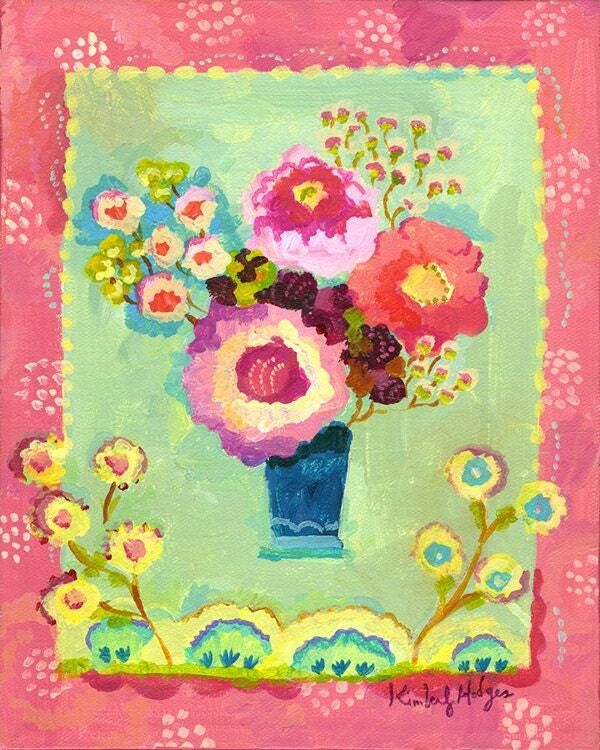 It is a super sweet little picture of flowers and reminds me of spring. "Petit Blue" is an 8" x 10" image available on watercolor paper with a 1" border all around or on stretched canvas or as a 11" x 14" canvas. My prints are giclees printed on high quality acid free watercolor paper and japanese archival inks made to last 200+ years. The stretched canvas has a semi gloss varnish and a hanger on back. Shipped USPS in a roll within 1-2 weeks of your order. love ALL the prints--thank you!